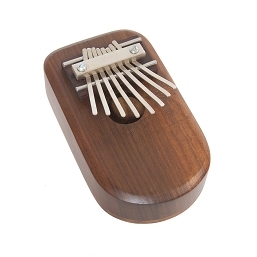 DOBANI 7 Inch Kalimba Thumb Piano 8 Key Box Style Natural. 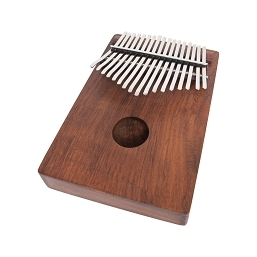 Kalimba Box, natural finish 7" x 4-1/2", 8 steel keys. 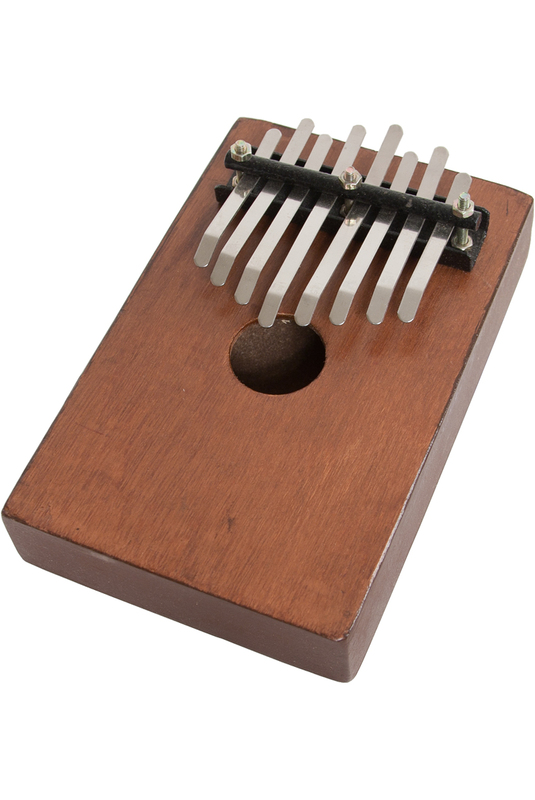 The thumb piano originates in Africa. It is also known as the mbira or likembe. The metal keys are mounted on a Wooden box that acts as the resonating chamber. To play, rest the thumb piano on the fingers of both hands and hold it between your palms. Several reeds or tines are plucked with the thumb or fingers, and the reed vibrations are amplified by a hollow box resonator or a sounding board. This thumb piano may be tuned to the key of C, from left to right: B G E C D F A C. Many different tunings are acceptable, according to personal preference. The tuning is subjective and should only be pleasing to the player. The longer keys have lower pitches and shorter keys have higher pitches. The keys can be adjusted by tapping them in or out to adjust their length, and therefore their pitch.